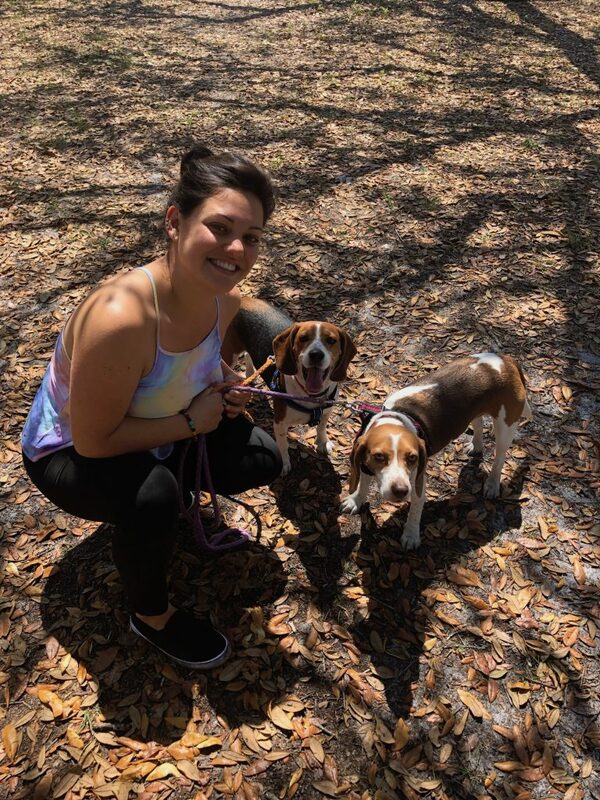 Walk’n Dogs services is located in Winter Park, FL and was founded by Rachel. She has been working in the Pet Care Industry for the last few years and started her career at a local Canine Daycare, Boarding, Health & Fitness Center. Walk’n Dogs provides in-home visits for dog walking, dog sitting, dog concierge, dog errands, dog taxi and more. Each service is customized to fit every dog and their specific needs. Our service areas include the Winter Park, Baldwin Park, Maitland, College Park and Casselberry areas. Rachel began her canine health & care practices at a local canine health & fitness center in Orlando, FL. Her mentors and pet experts, Sherri Cappabianca and Toby Gass, taught Rachel everything she knows about canine care, hydrotherapy, health and fitness. Rachel’s passion for dogs led her to launch two dog care businesses, Walk’n Dogs- Dog Care Services and Dip’n Dogs Canine Hydrotherapy. These local, small businesses, have had much success since their debut and are amongst the top dog care services in Central Florida. Rachel believes in top quality, professional and loving pet care and treats every dog like her own. Our sister company, Dip’n Dogs Canine Hydrotherapy is located in Winter Park, Florida and provides aqua therapy, fitness swimming and swimming lessons to dogs. Rachel is certified, licensed, insured and experienced in Canine Hydrotherapy, with over 100+ hours in the therapy pool. Last but not least, Rachel is also the proud guardian and dog mom to her two beagles, Leo and Lola.